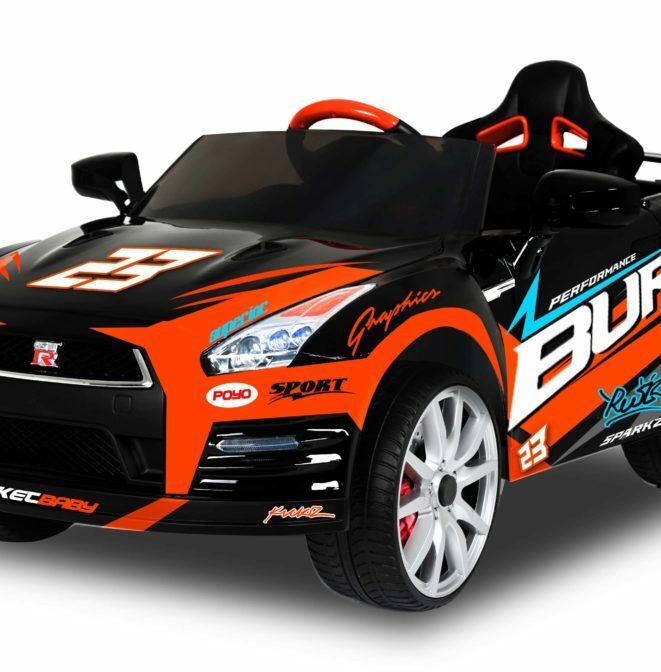 Give your Children an exciting ride with this Official Licensed Nissan GTR-R35 Ride-On! With the 12 Volts Battery Powered, it can reach a maximum speed of 5 mph. Features Power Switch, Forward and Reverse Mode for great maneuvering. Your child will love the Cool Sound Effects. Together with the USB Plug-in and MP3 Jack, kids can play their own favorite music during the ride. Fully equipped with Opening Doors, Light up Dashboard, Working Head Lights, Tail Lights and Battery Capacity Indicator, which ensure your kids are well entertained. This kid-sized automobile is sure to inspire a lot of playtime that will include exciting adventures from his creative imagination. Perfect for children ages 3 and up, with a maximum weight limit of 66 pounds.